Slingsby is a London Dry Gin that's proudly from the Yorkshire town of Harrogate. Named after William Slingsby, an English adventurer who is said to have discovered the valuable properties of Harrogate’s Tewit Well water in 1571, Slingsby Gin celebrates this heritage by using both the transformative water and botanicals grown in the local area including Severn Sea rosemary, silver posie thyme, sage, lovage, chervil, nettle and sweet cicely. There's a citrus yet savoury nose, with lifted juniper top notes and a classic palate with a sweeter finish. 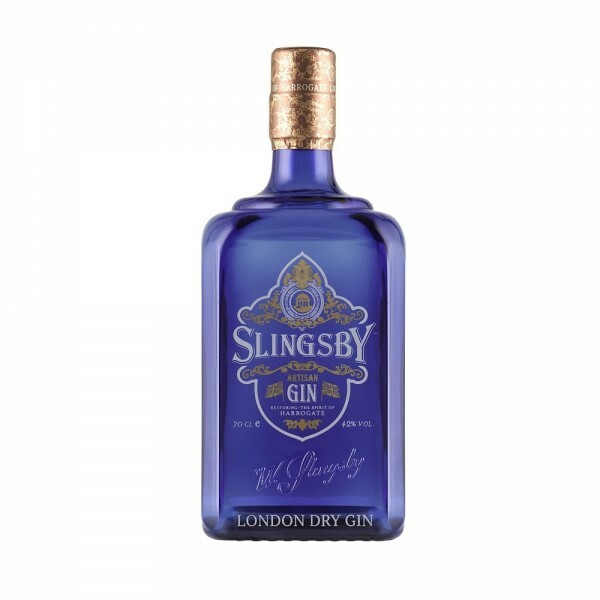 Slingsby is a versatile gin that can be enjoyed in many different cocktails or in a G&T.